Building trusting relationships with adults is the foundation in which toddlers learn. Toddlers are constantly on the move exploring their surroundings. Our classrooms provide safe and fun places for children to learn. This is where our Toddler Program comes into full effect. 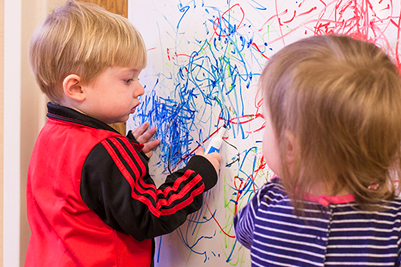 The Creative Curriculum® promotes developmentally appropriate activities that encourage the toddlers in our care to become confident explorers. Children’s World is Greenville, NC’s premier family of 5-star child care centers. To learn more about each of our four Greenville locations, or to request a tour, contact us today.